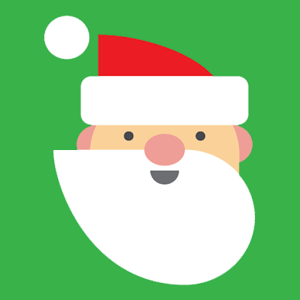 Have you been wondering how you'd keep up with Santa's comings and goings this year? 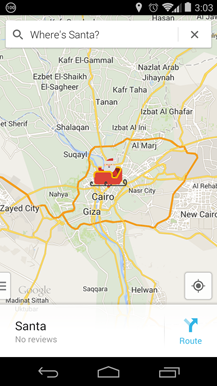 I know I have been losing a lot of sleep over it, but fear not – Santa has a special place in Google Maps today only. 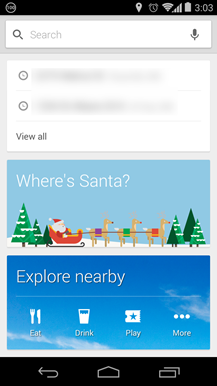 If you tap the search bar in Google Maps, there will be a "Where's Santa" banner. 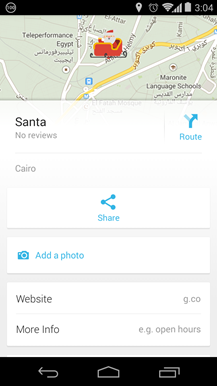 Tap on that, and Maps will take you to the sleigh's supposed coordinates. 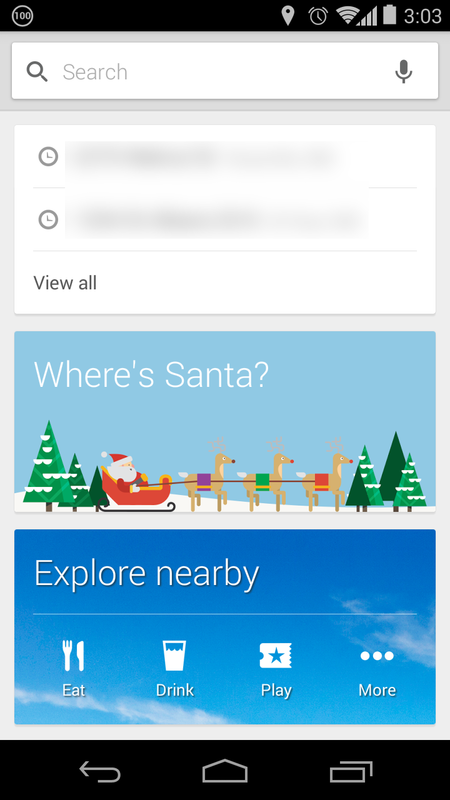 You can get the same thing by searching for "Where's Santa" in the app and on the desktop. 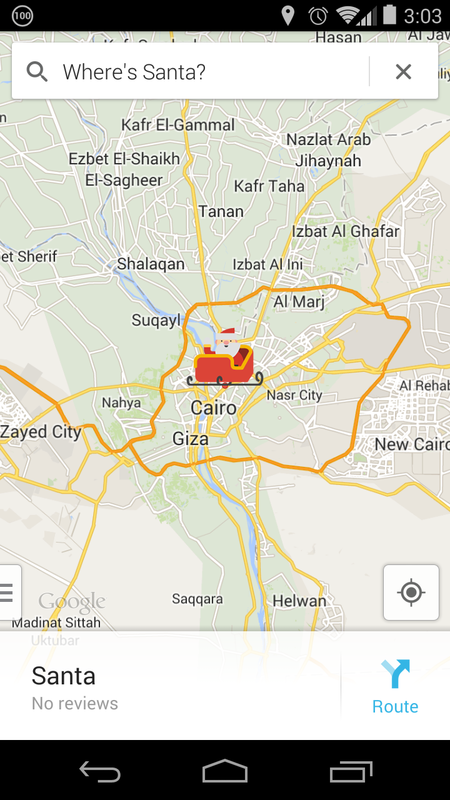 This is all separate from Google's Santa Tracker website and app, but it's relaying the same totally real data on the location of a magical dude who delivers billions of presents in one night. 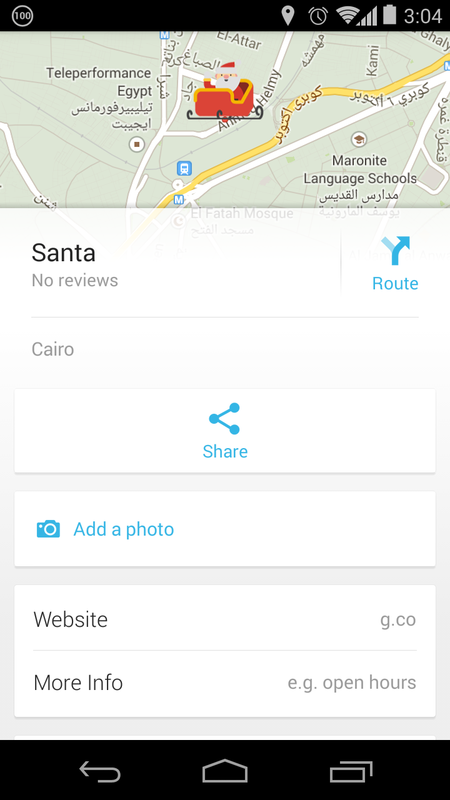 You'd think he'd have some reviews, but no – Maps won't let you leave a review of Santa.